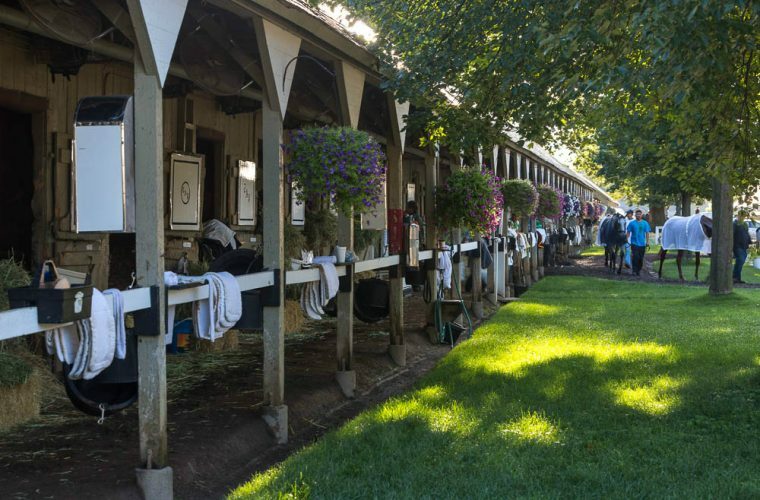 Todd Pletcher's shed row in Saratoga is home to many BSW managed horses. BSW Bloodstock has managed over 700 horses since 2007. Multiple clients of the firm have been nominated for Awards for Leading Owner and have finished in the top five in earnings consistently. Management client Sol Kumin was awarded New Owner of the Year by TOBA in 2016 after his first full year in the industry. Over the course of one and a half years, Kumin has had an amazing nine G1 wins. Racehorses have a relatively small window of success, so it is critical to manage each horse carefully both on and off the racetrack. When it comes to winning races, the best course of action is to outline goals and plans that best suit that individual horse while also remaining flexible. Through our knowledge of the Stakes calendar and familiarity with the Form and racetracks around the world, we can assist in placing each horse in the best possible race. Being in constant contact with the top trainers in America, we are not only managing your horse, but also judging, analyzing, and studying the competition.